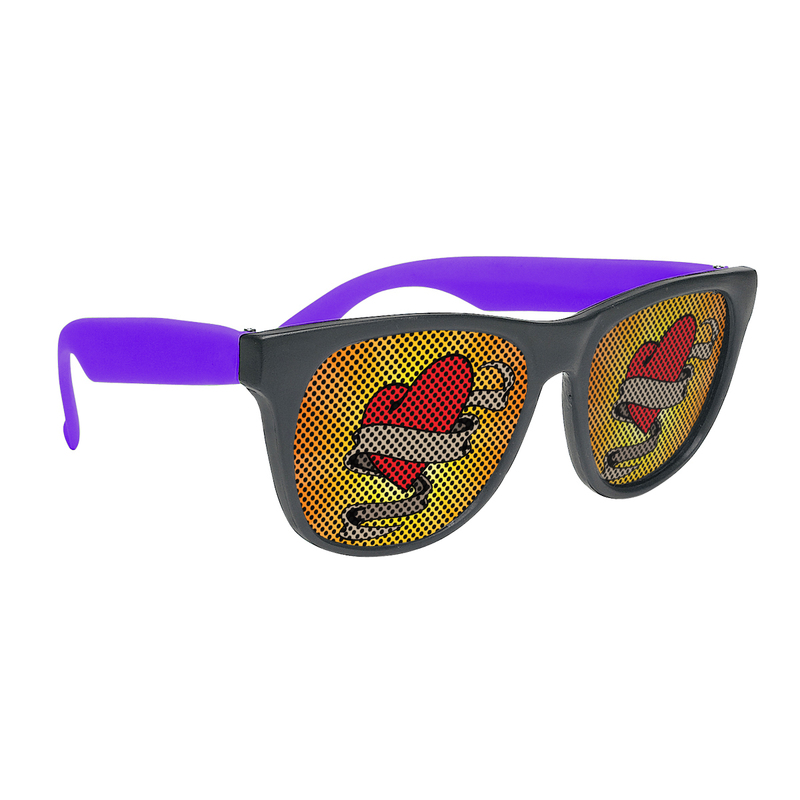 Personalized Full Color Sunglasses Custom Printed in Bulk or Blank. Promotional, Inexpensive. Budget Prices in the USA and Canada. 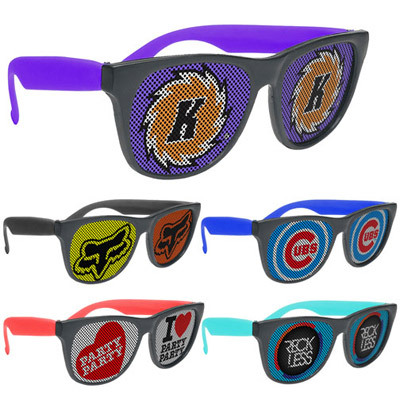 Wholesale advertising Full Color Sunglasses on sale. Lowest cost in North America. Free Artwork Design. American Clients pay no taxes. The unit prices below include you full color custom imprint, or they are for blank (not personalized) Sunglasses. PRODUCTION TIME: 3-5 working days after art approval; Rush production of 1-2 days is available: add 35% for 1-day rush; $0.30% for 2-day rush. Blank (not personalized) Sunglasses ship next day. No need to “block-out"; the memory of an unsuccessful promotional campaign! By adding your custom imprint via full color process to both of these UV400 tinted lenses, you’ve got a perfect giveaway for beach-themed events and charity fundraisers! Both of the lenses contain small holes so that the wearer can see through the imprint. With black frame and trim color options, they’re fitting additions to hotel gift shops. Offers UVA & UVB protection. Colors: Black, Blue, Green, Pink, Purple, Orange, Red, Silver, Teal, White, Yellow, and White Frame with White Trim.